Nothing will frustrate your worship team worse than not being able to hear themselves the church stage monitors. In all my years as both a pastor and a musician, this has been one of the biggest gripes I have heard. 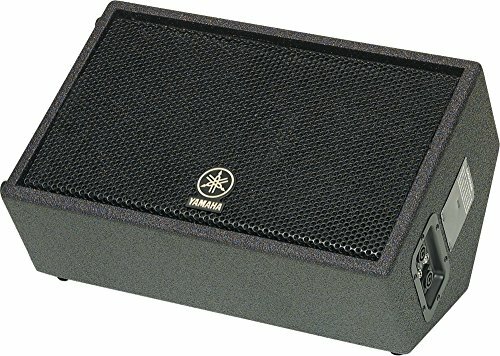 So I thought it would be helpful to do an article on the best stage monitors for church worship teams. When talking about “the best,” we should probably define that term. If you are talking about “best quality,” then there is only one answer: JBL. By far, JBL is the recognized leader in sound system speakers. However, there are other ways to view best. There is the best bang for your buck. There is the best compromise between quality and price. 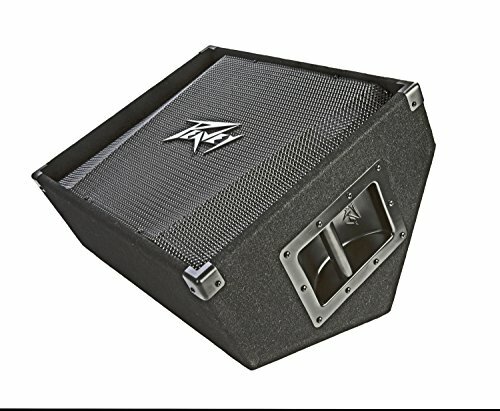 Here is a quick list of the stage monitors I am going to recommend just in case you are in a hurry and don’t want to read the entire article. After the list, I will give you a church monitor buyers guide then some quick reviews of each recommendation. When your worship team is playing for your church, the importance of having a good onstage monitor system cannot be overstated. Without having good monitors for your church worship team, they will not be able to hear themselves or one another play. Unless your church values train wrecks, this is a huge problem. Your main PA speakers are pointed at the congregation; they cannot be used for the worship team. That is why I have included this buyers guide for church stage monitors. Hopefully, it will help you know what you need to look for in a monitor and what will work for your church stage setup and your church’s specific needs. When you start shopping for monitors, you will quickly discover that there are two basic types of stage monitors; active and passive. If you are not familiar with the sound technology world, you will be lost already. However, this means whether or not they are powered. Active monitors have a power amp, and passive monitors do not. So let’s take a moment to look at their differences so you can decide which one would be best for your church. Active monitors have their amplifiers built right into the monitor cabinet. This is especially beneficial for musicians that bring their monitor to the stage, or for those that want the ability to adjust the levels onstage or adjust the equalization. 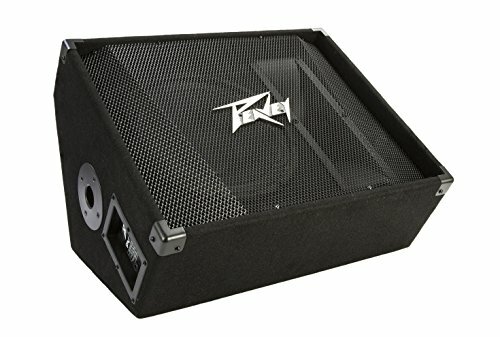 Even though they are more expensive than a passive monitor, they are less expensive overall when you consider the cost of the power amp needed with a passive monitor system. They are also a favorite of portable churches that have to set up and break down every Sunday. However, they are more substantial than a passive monitor, so that needs to be taken into consideration. Before speakers will produce any real sound, the signal needs to be amplified in some way. 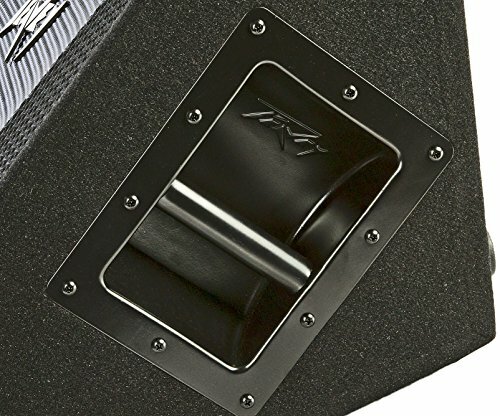 With passive monitors, that amplification happens apart from the speaker and speaker cabinet. Passive monitors are less expensive than their active monitor brethren. They are the most common form of a monitor in houses of worship since the sound system is stationary and professionally installed and there are ordinarily many monitors in use. This is not as true for mobile or portable church setups. 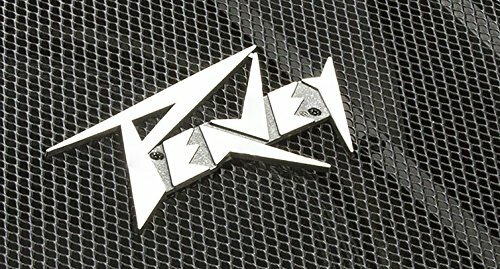 Wedge monitors get their name from the shape of the monitor cabinet. They sit on the stage floor and are designed to face upward at an angle towards the musician or vocalist. These are highly popular with church worship teams because they have the best sound quality and direction. Usually these wedge monitors are used with each individual on the worship team. Contrary to wedge monitors, side fill monitors work oppositely. 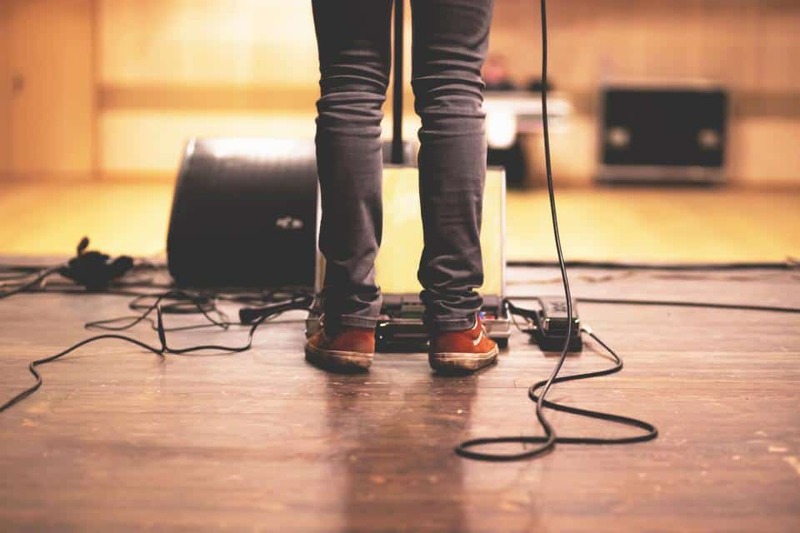 Instead of being pointed at an individual musician or vocalist, they are aimed at the team in general. They are designed to give a complete mix of what the band is sounding like. These are less common in houses of worship as church stage monitors have become more comprehensive in their quality. Stand-mounted monitors are what they sound like. They can be placed on top of a microphone stand or some types of keyboard stands. Personally, I liked what we called Hot Shot monitors for my vocals, but they were awful for a bass monitor. The speakers were too small to give a good quality sound to the low end where a bass guitar is at. These might be good for your vocalists, keyboardists, or lead guitarist, but they are a specialty monitor. Again, in-ear monitors are exactly what they sound like. 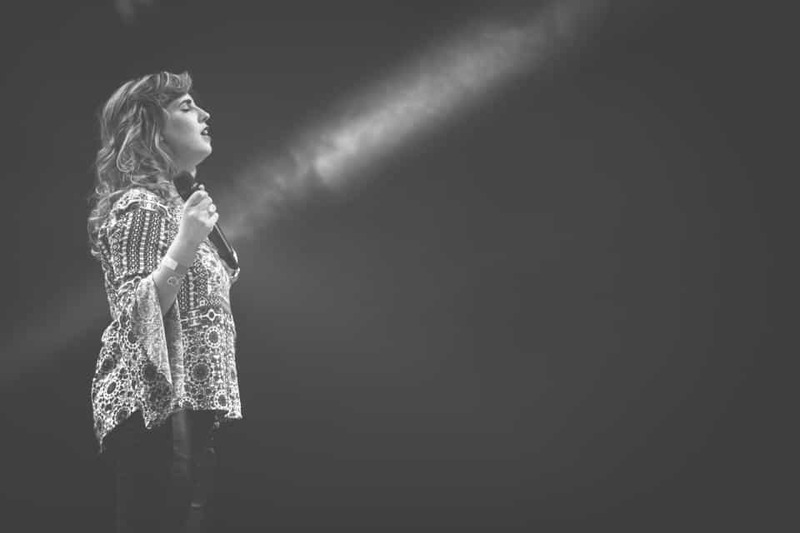 Instead of having a big monitor on the stage in front of your musicians or vocalists, each of them has an earbud in their ear listening to themselves. I have done a complete article on in-ear monitor systems if you are interested in this type of monitor system for your church. These types of monitors are becoming more and more popular. They give the musicians more freedom, and they remove the clutter on the stage allowing for smaller stages and more manageable setup and tear down. Simply put, power capacity is how many watts can I put through these speakers before blowing them. The measurement of this is usually calculated in what is called RMS. In laymen’s terms, this means how many watts you can continuously run through the speakers without distorting and possibly damaging the speakers. However, don’t mistake this for how loud the speakers will go. There is more to it than that. Another factor in how loud a speaker will go is its sensitivity rating. This is effected by how efficiently the speaker transfers the signal into audio sound. Manufacturers rate this in different ways. An excellent place to start is to see how many decibels a speaker will produce. This will give you a reliable way to compare each speaker. A good rule of thumb is to look for a monitor that will go up to 95 decibels or higher. Of course, if you have a quiet church, that may not be an issue. Impedance is the amount of resistance that is encountered when sending the signal from an amplifier to a speaker. You need to make sure that your speakers and your amplifier match in impedance. This is rated in Ohms. Most systems are either 4, 8, or 16 ohm systems. Just make sure they are rated the same, and you will be fine. Frequency range is the amount of the audio spectrum that a speaker will reproduce. Most types of music used in churches will have a frequency range of 65hz to 20khz. You may find monitors that use just one speaker to cover this range and others that will use a combination of a woofer, horn, and tweeters. In these systems, there will be what is called a crossover system that directs the appropriate frequency range to the appropriate speaker or horn. You will want to look at the frequency range of the monitor and get the best range you can for the price you can afford. As I said earlier, the term best can be defined in different ways. So here are three options for your church monitor speakers that will fit each definition; the best quality monitor, the best compromise between quality and price, and the best affordable monitor for your church worship team. I am a huge fan of JBL. For all of my life, they have been the premier speaker manufacturer. 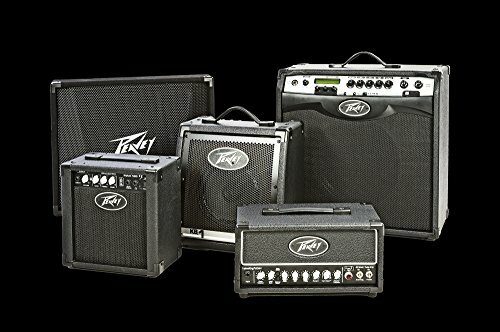 My dream was to own a JBL 18″ bass speaker for my bass amplifier. 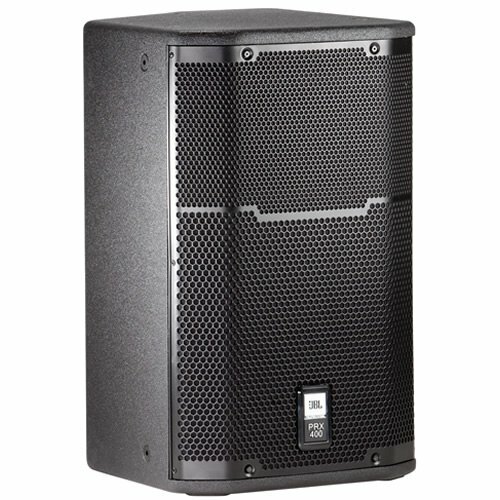 The JBL PRX412M monitor speakers can be used as regular PA speakers as well. That is quite a high mark and shows how much quality these speakers have. With 300w of continuous power capacity with peaks up to 1200w, these speakers will produce the sound you need at 120 decibels. vertical (mains) or horizontal (monitor) orientation. I am a big fan of Yamaha products. I own one of their acoustic-electric guitars. 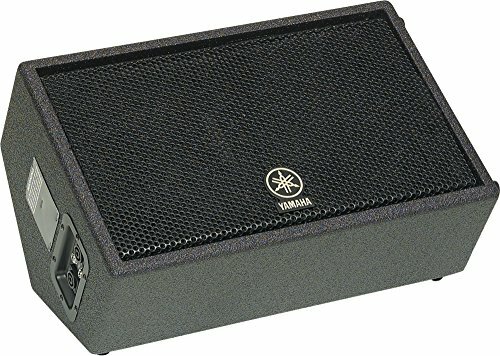 These Yamaha stage monitors are a good balance between the high-end JBL speakers and the budget minded Peavey speakers. They can’t handle quite as much power with 250w of continuous power capacity at 96 decibels. It has a 10″ woofers, 1″ phenolic tweeters, and 70Hz-20kHz frequency response. The titanium diaphragm compression drivers are mated to 90-degree x 40-degree custom-designed horns. Internal electronics feature over-built crossover networks and overload protection. This is an excellent choice for the small or medium-sized church that wants great sound at a reasonable price point. 68 Hz to 17 kHz. 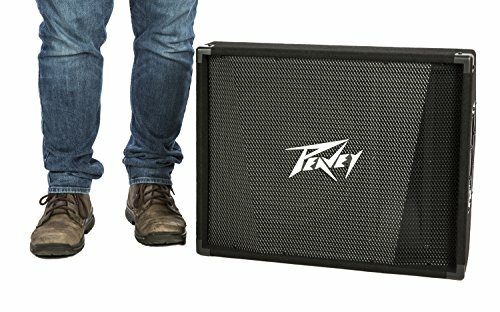 I have been a user of Peavey Products for over 30 years. I have never been disappointed in their quality or reliability. That said, they are not top quality, but they are good quality. Rated at 500 watts program and 1,000 watts peak power handling capability at 98 decibels, the rugged, trapezoidal PV 12M is built to last. It has a Sheffield® Pro 1200+™ premium woofer, and a 14T™ 1.4-inch titanium-diaphragm compression driver coupled to a constant-directivity horn. It has a 52 Hz to 21 kHz frequency range. 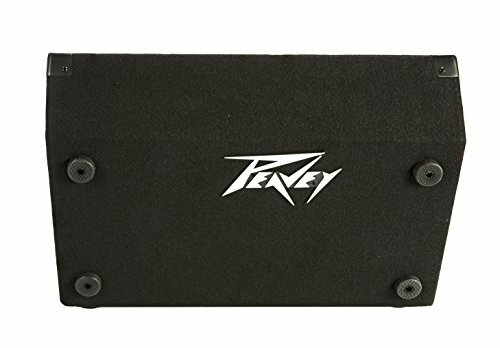 This Peavey stage monitor is an old faithful. It will handle anything your church can throw at it and do it all at an affordable price. You don’t have to sacrifice quality because of cost with this stage monitor. It may not be JBL, but it will be faithful. Well, there you go. I have tried to give you the best church monitors for church worship teams. Hopefully, you have found this article helpful as you decide what is best for you. Let me know what you eventually choose. I would love to hear from you.